Posted on December 19, 2013 by 1fuzzymonster. 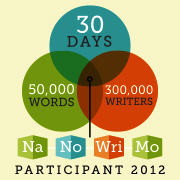 This entry was posted in Uncategorized and tagged hope, nano, PT work, stress, writer, writing, writings. Bookmark the permalink. ← I know it’s not Day 8 but… DAY 8!